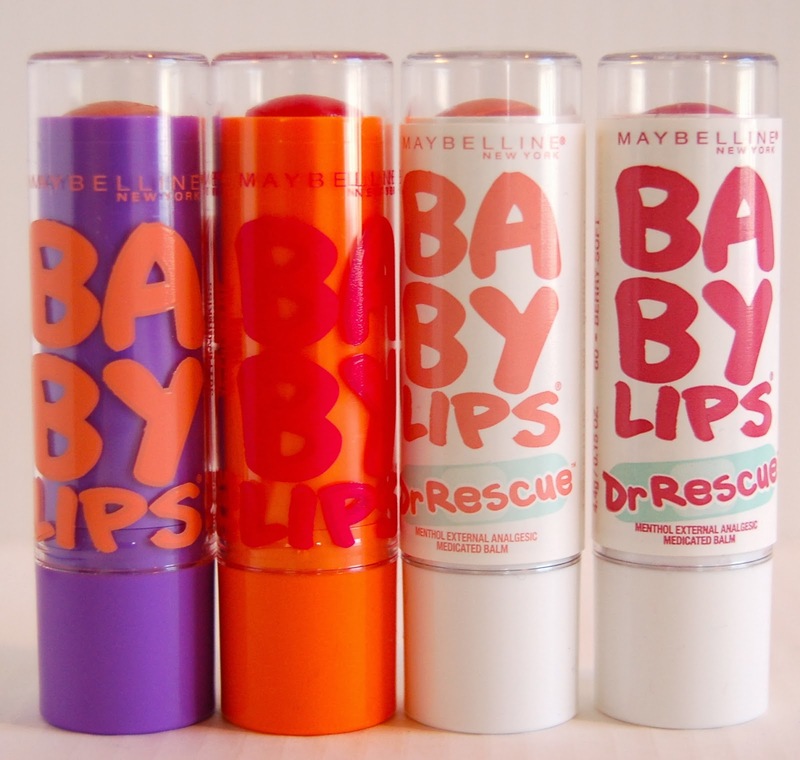 For this week's Frugal Friday I'm going to talk about the popular Maybelline Baby Lips. It took me a while to join this party but now I wonder what the heck took me so long. These truly are super moisturizing. The original formula claims "8hr moisture", to be honest, this is not true. You will be re-applying this fairly often but it's a balm so you should expect that. These have a very sheer color to them so even though it may look dark in the tube it will be super subtle on the lips. The colors have a gorgeous sheen to them. There is a medicated version of the Baby Lips and it's called Dr. Rescue. These contain 0.5% menthol so they taste/smell like cough medicine which is a little disturbing but not too bad because it's not very strong and doesn't linger. The package claims that it's for the temporary relief of pain from fever blisters and cold sores. I don't get either of those so I can't say much for those claims. These also have a very sheer color and feel moisturizing. 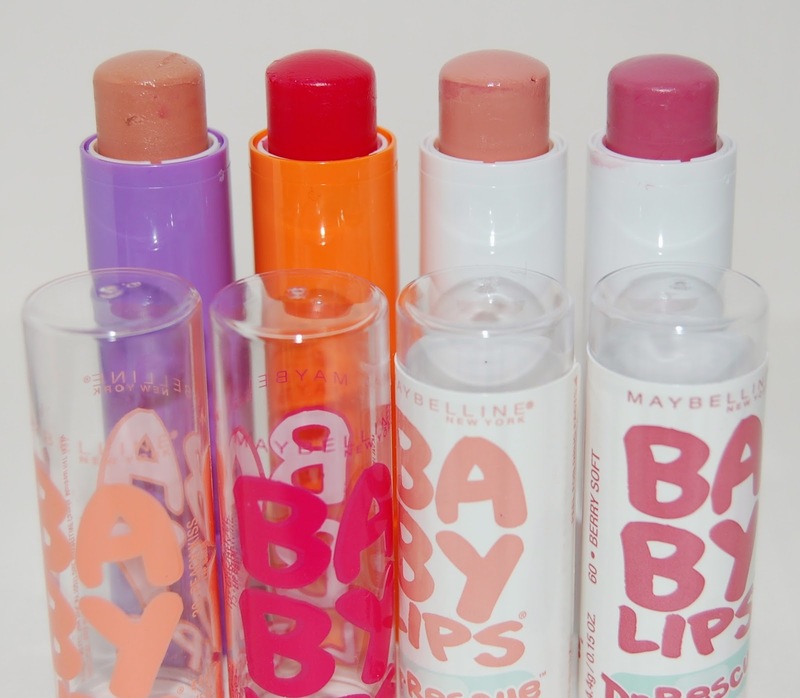 I really love the Maybelline Baby Lips! I have 4 and I need to hold myself back from getting more. If you haven't tried these yet, I definitely recommend them! They are really great, thanks for visiting! The peach one is so pretty! We love Peach kiss!!!! Hope they never quit making it!!!! It seems like that's one of the most popular ones! Thanks for visiting! I have Cherry Me, I really enjoy it. I haven't tried the Dr. Rescue ones...I'll have to pick one up soon! Yes, I Love that one! Thanks for visiting my blog! I really like these lip balms. I have the peach and a non colored one. I usually put the clear one on before applying lip products. My lips have been SO dry lately and my lipstick looks gross on my lips! lol I need to find a lip exfoliator since I don't currently use one. If you have not tried the Revlon Lip Butters yet you should def try them. All Revlon is buy one get one 50% off. They are super pigment but give nice color and are really moisturizing. Thanks for sharing hun! Oh yes, I LOVE me some Revlon Lip Butters! Those will be featured in an upcoming Frugal Fridays post actually! Have you tried the ELF lip exfoliater? That's a decent one. I am just not a fan of Baby Lips but I still enjoyed reading your review. I think Baby Lips are one of those either or products. Either you love them or you don't. Sadly I'm among the don't. My favorite tinted lip balm in Almay Liquid Lip Balm. Thanks for sharing. I really enjoyed this review. That's a bummer you don't like these! I keep seeing those Almay balms but they seem SO dark and I've just been afraid to take a chance on them. I really need to! love your blog too and now following on bloglovin! I like these balms, I was definitely putting this on every few minutes. It's not my HG lip balm but I do like the cooling feeling from the Dr.Rescue balms. Yeah, it's def. not the best balm out there but everything about them is just so cute lol! Thanks for visiting! i actually kind of...hate the baby lips balms. but...i keep buying them? lol, i'm a mess. 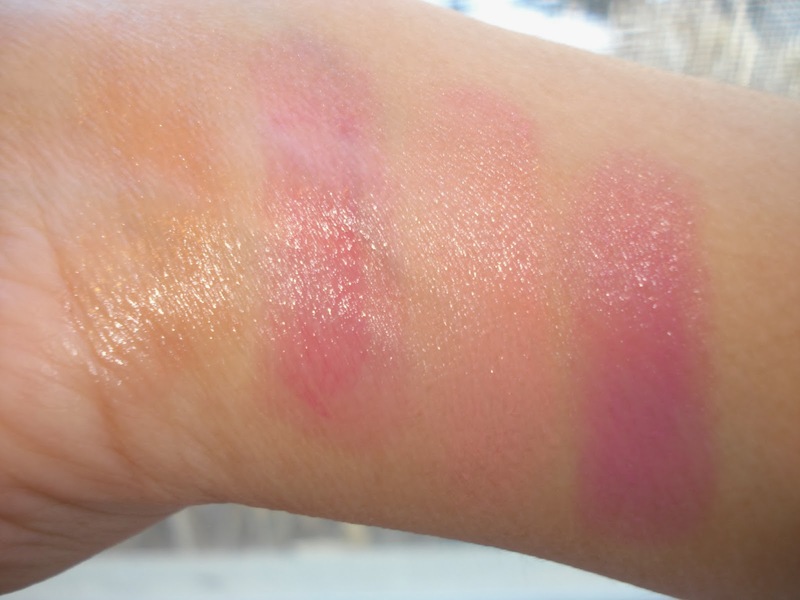 none of the colors look good on me (ashy looking, for the most part) and the scent of peach kiss actually makes me nauseous (tmi, i know, i'm sorry). the only ones i can kind of handle are the citrus and peppermint ones from the original line. even those aren't too much to write home about for me, though =/. That stinks you don't like them but kind of funny you keep buying them lol! I have done that when I don't like a product everyone else loves, I keep thinking to myself, "well maybe I didn't buy the correct shade". ha! Thanks for visiting!